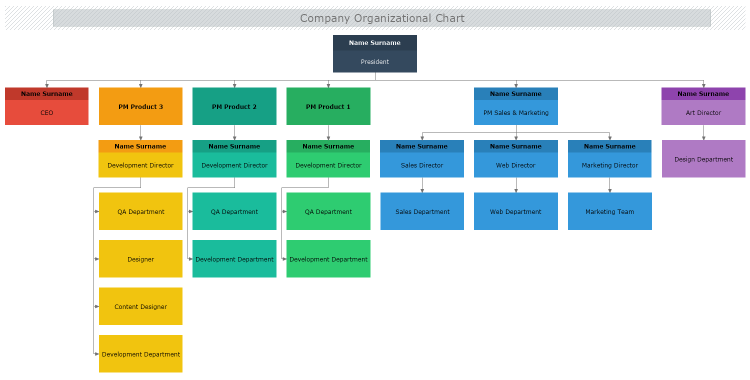 This diagram template demonstrates a standard company organizational chart. In this example the company consists of 5 major departments. Three of the departments are based on the three main company products, the fourth department is Sales and Marketing, and the last department in this sample company is the art and advertising department. Download this free template and modify it in MyDraw so it represents your own company's organizational structure.